Empire, LA. Credit: Richie Blink, NWF. 2) Infrastructure. Todd C. Frankel’s Washington Post piece titled, “Taming the Mighty Mississippi,” takes you on a photo journey of the infrastructure along the Mississippi River, examines what is needed, who will pay for it, and if these efforts will ultimately be helpful or harmful. Flooding in the Mississippi Valley. MODIS imagery shows the extent of flooding on the lower Mississippi on March 3, compared with the same day a year ago. Water on the surface is shown in dark blue and black and land is hidden. Credit: NASA. 3) Sediment. 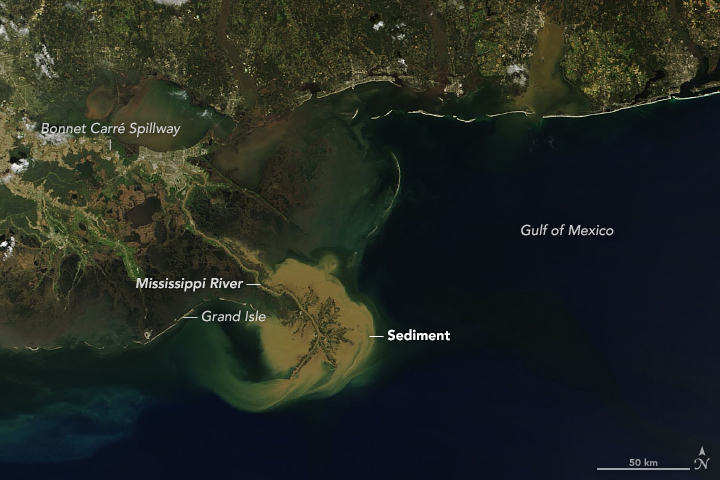 The Advocate’s photo article, “Photos: From the sky, you see more than just water flowing across Bonnet Carre spillway,” is really a story of Mississippi River sediment: places where it’s being wasted, places where it’s building land, and places that desperately need it. Sediment plume, March 4, 2018. Credit: NASA. 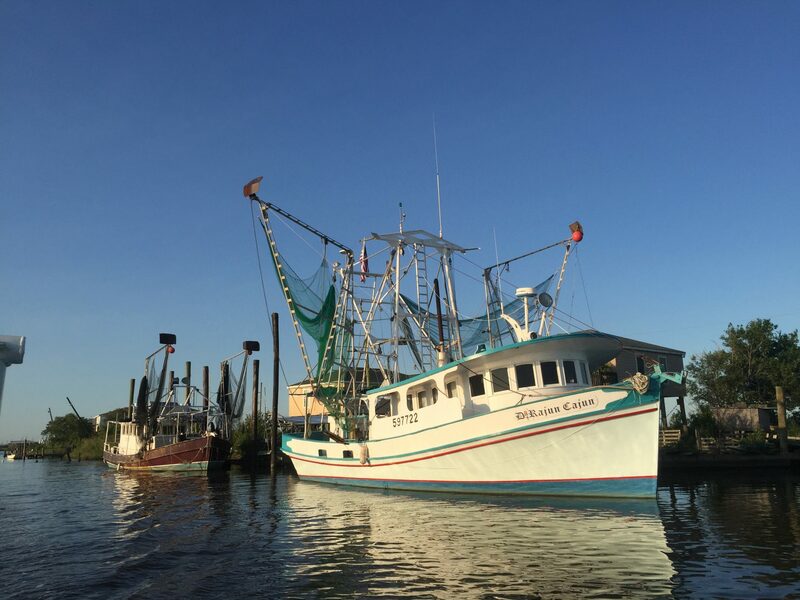 ICYMI: You’ve probably seen the recent New York Times and Times-Picayune collaboration called, “The Drowning Coast,” focusing on Louisiana’s land loss crisis. In this podcast, our own Jacques Hebert and Simone Maloz chat with John Schwartz of The New York Times and Mark Schleifstein of The Times Picayune about this groundbreaking partnership.